It seems Jovial Noise is out to sabotage the school science fair … by destroying people’s projects. The game of chess certainly becomes ‘a game of chase’ when Chase has to connect the chess pieces and clues together in order to save people’s science projects. Then Chase himself is framed for Faith’s ruined project and he knows he needs to find the real culprit, fast, before more projects (and friendships) are destroyed. Is it Carlyle? Wyatt? One of the red ninjas? Or that new hall monitor, Sebastian? 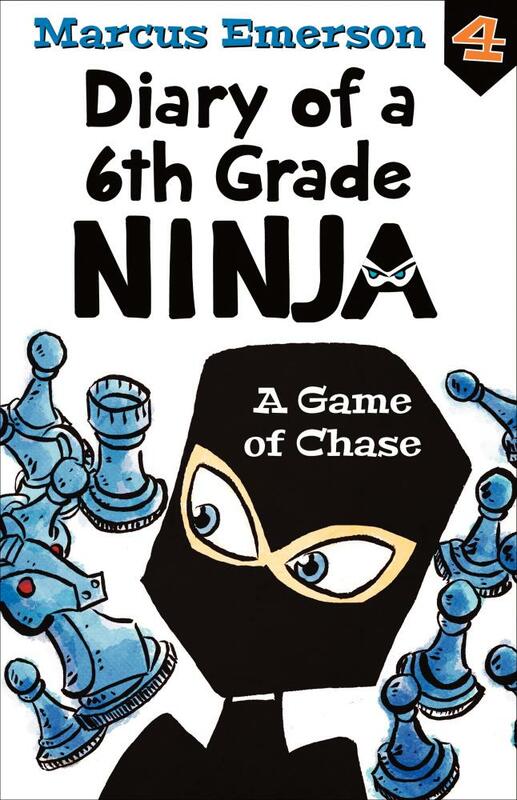 This is another fast-paced, entertaining read in the bestselling Diary of a 6th Grade Ninja series by Marcus Emerson. There are lots of laugh-out-loud scenes, including a very funny conversation about ‘meese’ (the supposed plural of ‘moose’)! I particularly love how this series overturns the idea of a fist-fighting ninja and replaces it with a ninja who instead focuses on empathy, bravery and (above all) doing the right thing. ‘If you know me then you’d know I don’t fight no matter what,’ I said. This amusing series of books for 7–12 year-olds is definitely out to empower kids who want to deal with bullies … without getting physical.